Image Recognition Technology is software that is able to identify and classify elements in an image. It refers to machine vision and the computing powers that are increasingly similar to what humans can do. 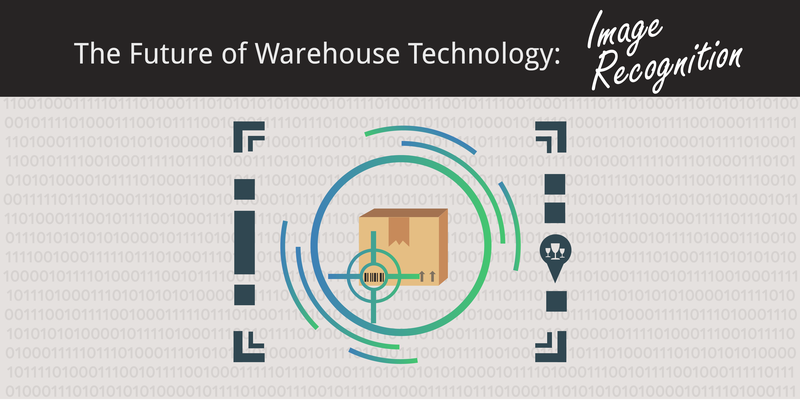 It is also a central concept in our current blog series – the future of warehouse technology. In Part 1 and 2 of this series, we talked about robotics and drones in inventory management. Without image recognition technology, those machines would not be able to perform half the tasks they do. 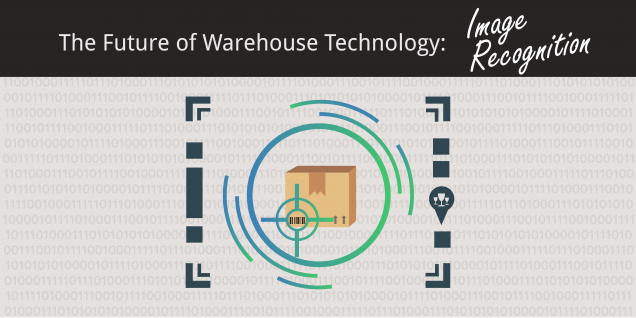 Let’s take a step back and explore how image recognition ties into warehouse robotics. Automated Guided Vehicles (AGVs) transport inventory around the warehouse through software mapping guidance, but that only tells them where to go. How do they get there without an operator? The answer is simple. Image recognition technology internally drives the AGV, while on-board vision sensors and markers on the floor externally guide it along. There are typically 2 cameras positioned on the AGV. One detects the nearest marker, and the other detects the the next marker in the distance. However, AGVs are fairly large pieces of equipment – especially if they’re towing inventory behind them. Some may be concerned with how accurately they can can stay on the path. Well, the AGV’s sensors also calculate the distance and angle between the center of the robot and the center of the marker. Not only does the AGV precisely follows the guide path, but its sensors detect people and obstacles a safe distance away to avoid collision as well. Going a step further, drones that are used in warehousing operations use a combination of image recognition and other emerging technologies to perform inventory counts and inspections. They fly through the distribution center and identify products that are misplaced, products that need to be restocked, and products that have exceeded their shelf-life. Then, management is alerted to take action. However, the drone must first determine what aisles, bins, and obstacles look like before it can perform any of those tasks. This is where image recognition technology takes center stage. While the technical aspect of image recognition may be an ambitious concept to grasp without background knowledge of machine learning, data science, and AI, we’ll try to simplify how it works and encourage your curiosity! 1. The first step is to gather and organize data before computing anything. You start with a database with thousands of images showing the contours of what is and is not a certain object. You can do this manually or modify existing data sets as well. 2. Algorithms help form predictive models. This classification system looks at features and labels it based on the data sets. 3. Now the software can take features and process until it arrives at a classified output. This is how image recognition falls under artificial intelligence and machine learning! With this technology, it is similar to the processing abilities of the human brain. In the auto industry, there is a new generation of cars with smart features like lane departure warnings and brake assist. These features may soon be standard! Another example is Tesla – a leader in the industry using image recognition to develop their self-driving car. In the smartphone industry, Apple’s iPhone X unveiled advanced their facial recognition technology last year. It analyzes your features in real-time using over 30,000 data points. And now, also with image recognition, the latest models of the iPhone XS and XR have paved the way for augmented reality experiences. What does the future look like for image recognition technology? With applications in such a wide spread of industries, it is no wonder that this technology has a growing pool of research and investments pouring into it. We see how it is transforming existing supply chain practices within production, inventory, and distribution alone. This technology is flexible and efficient. Working with a cloud-based inventory management system and advanced RFID tagging, it can cut down your inventory, ordering, and picking processes from hours to minutes. Next week, we will explore how everything comes together in the Internet of Things. Stay tuned!